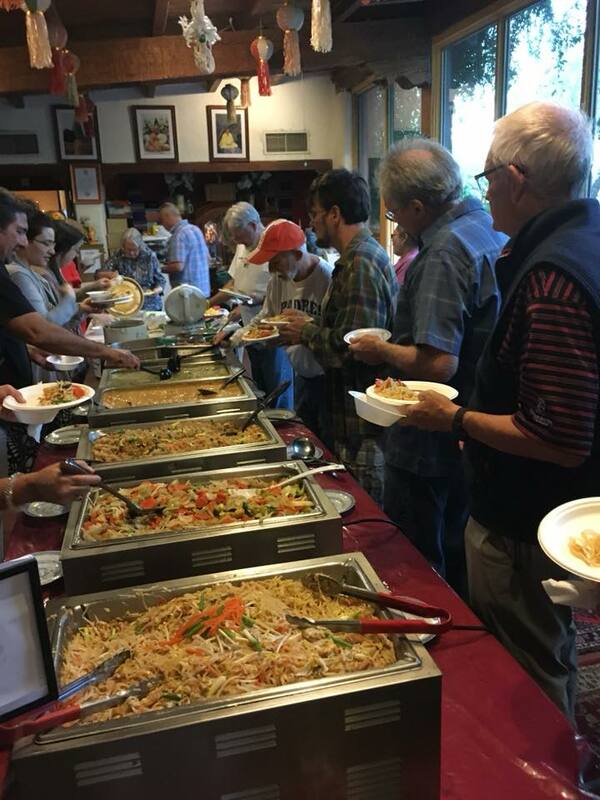 On the third Saturday of most months we are having our monthly Community Thai Food Buffet Dinner. The very best Thai cooks are preparing a wonderful buffet of Thai food including pad thai, egg rolls, vegetarian and chicken curries, dessert and more delights. No reservations required. Bring the whole family and your friends. We are asking for a small donation of $10 per person, children under 10 eat free. The collected funds from this event help to support the temple to offer all classes free of charge to the community. All are welcome. For more information call Wat Buddhametta at 520-745-4624.